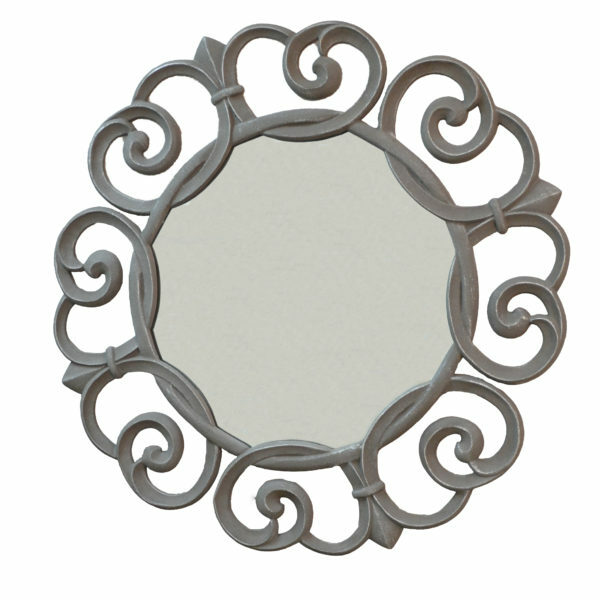 Add a touch of elegance to your surroundings with the?Audrey Round Mirror. ?This curvaceous frame features breathtaking flourishes of aged silver that gives the piece a timeworn appeal. At its center is a round glass mirror that is 21″ Diam. Antiqe Pewter Powder Coated finish.